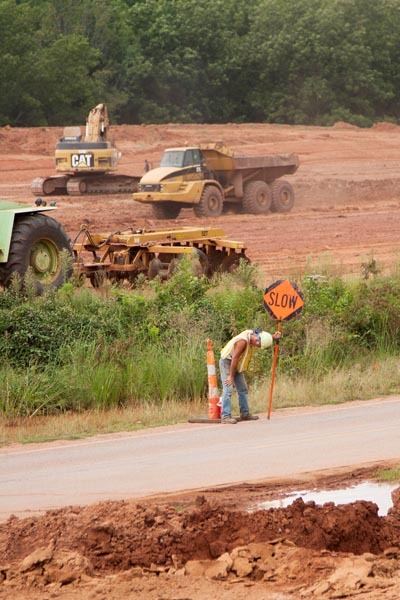 A tired worker directs traffic at an Oklahoma Department of Transportation work zone on SH-9A near Maud. 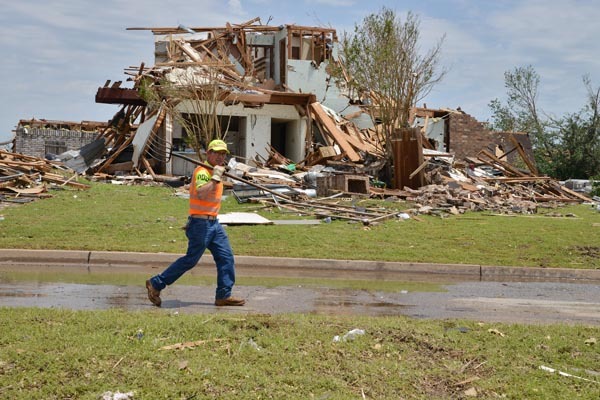 Oklahoma Department of Transportation worker Vaughn Oswald assists with the cleanup following the deadly May 20 tornadoes in Moore. Maintenance crews from ODOT field divisions statewide assisted with debris removal and cleanup following the destructive tornado that struck the Moore area. More than 800 ODOT maintenance workers hauled more than 4,000 tons of storm debris away from the area over a span of two weeks. 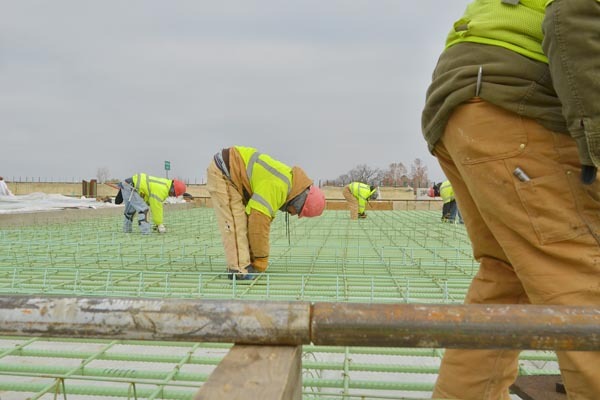 Construction contractors for the Oklahoma Department of Transportation get a good stretch while working on the reconstruction of I-44 at Harvard Avenue in Tulsa. 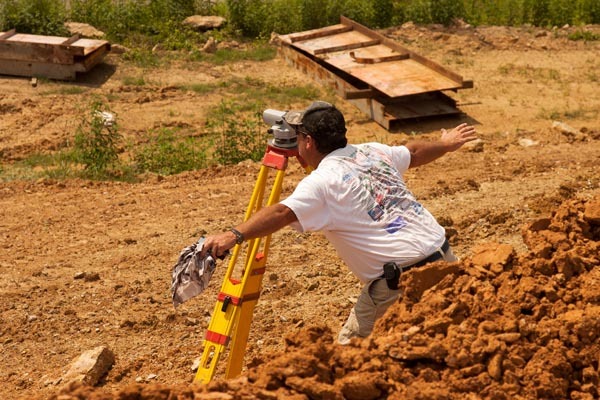 A surveyor at an Oklahoma Department of Transportation construction site on US-70. 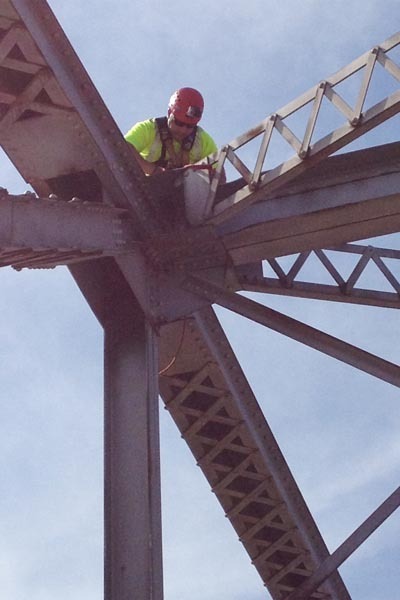 Oklahoma Department of Transportation bridge inspector Wes Kellogg scales the US-169 truss bridge over Bird Creek in Tulsa to perform a detailed inspection. 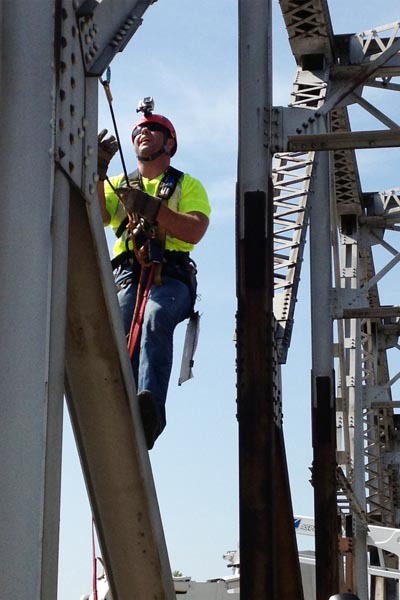 Oklahoma Department of Transportation bridge inspector Wes Kellogg climbs a bridge beam to perform a up-close inspection of the US-169 truss bridge over Bird Creek in Tulsa. 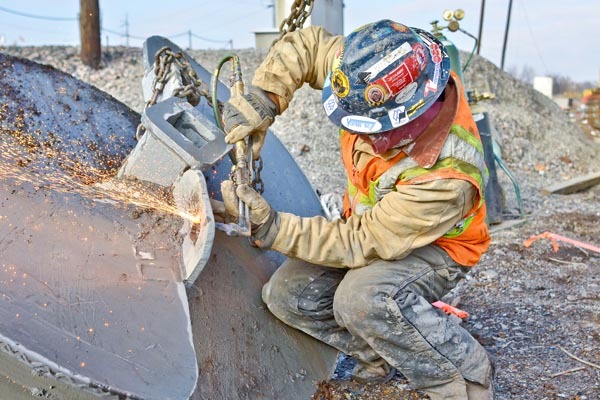 A construction worker wields a cutting torch while working on an Oklahoma Department of Transportation project to construct the multimodal I-244 bridge over the Arkansas River in Tulsa. The first of its kind in Oklahoma, this double-decker bridge incorporates highway lanes on top, dedicated future passenger rail lines underneath, along with an area for bicycle and pedestrian traffic.